Events in Wiltshire in July brings delightful thoughts of holidays and where shall we go, what shall we see. The ancient county of Wiltshire has many places and events that could intrigue. The famous Marlborough Jazz festival is a great idea as are the other festivals that July brings. Flat racing is still on. There are cycling events, footpaths to explore and all those standing stones for which Wiltshire is world famous. Horse lovers - Barbary Castle International Eventing & Show is for you. Marlborough International Jazz Festival may no longer be running. Trowbridge Festival will be held on 19th to 21st July 2019 at Stowford Manor Farm. WOMAD The World's festival of music, arts and dance. 25th to 28th July 2019. Charlton Park, Malmesbury. Unique in that the event is also held in several other countries. Family friendly and popular. Malmesbury in the beautiful southern Cotswolds. 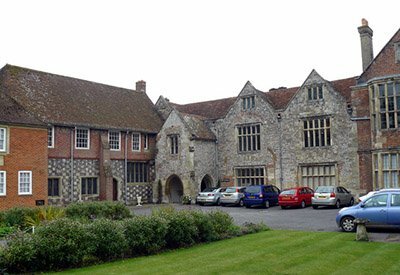 The Abbey is Saxon in origin but developed through time. Folk of Malmesbury are nicknamed Jackdaws because of the birds that inhabit the Abbey. Home of Eilmer of Malmesbury best known for trying to fly in the 11th century, he tied wings to his hands and feet and jumped off the Abbey tower, he travelled over 200 feet. On landing he broke his legs. 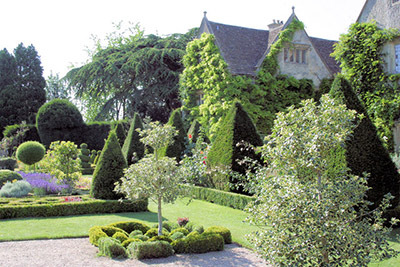 Iford Manor, a medieval manor sits by the Frome River in an ideal situation in a steep valley. Lovely place, its facade was altered in the 1700's to give us what we have today. The Italian gardens are Grade I listed. Calne is on the North Wessex Downs which are an Area of Outstanding Natural Beauty. It is a lively town with lots going on during the year. There are riverside walks, historic buildings and antique shops. The Sustrans footpath NCN 403 goes through the town. Salisbury Racecourse a few miles from Salisbury in the Netherhampton area. Flat racing in the summer. Overlooks the city. Salisbury Museum actually the Salisbury and South Wiltshire Museum. Incredible collections, really shows how the Salisbury area of Wiltshire is so unique. Well worth a visit at any time of the year. The new Wessex Gallery has added another dimension to the Museum. Larkhill is a garrison town in the Stonehenge area. The name suggests a lovely hill with larks soaring in the morning, but that must have been centuries ago. The town is associated with early military flying. Larmer Tree Gardens. they call themselves the jewel of Cranborne Chase and they have a point. English Heritage have stated that it is a Garden of National Importance, it certainly is lovely and enchanting. Marlborough, an ancient town as can be seen by the wide streetscape. The town was on the old coaching route between London and Bristol and must have seen history in the making. The age old market still exists twice a week. Swindon was a railway town now a bustling expanded town and large firms have bases there. It started life as a market town. Take a wander round pleasant Old Town. The town made use of the old railway works for the new town centre which is sensibly fully pedestrianised. Milton Lilbourne is a pretty village in the Pewsey Vale in a farming area. 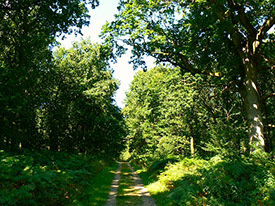 The vale itself is deservedly part of the North Wessex Downs Area of Natural Beauty, although the vale is not downland. Westbury is an old market town in the west of the county and on the edge of Salisbury Plain. The White Horse cut into the chalk on a hill is said to be of the 800's but more likely of the 18th century, It certainly is the oldest and the largest one in Wiltshire. Good centre for cycling and walking breaks.